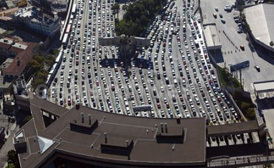 Ensenada Mexico is conveniently located just 68 miles (108 kilometers)south of the border US border with Tijuana and is connected with an excellent a four lane toll road called the MX-1D and an equally pleasant two lane free road, which makes it a natural destination for tourists on short vacations by car, millions of weekend visitors and spring break revelers. Ensenada’s closeness to California also makes it a popular port of call for short cruise ship trips from Port of Los Angeles and Port of Long Beach. These mini cruises are extremely popular and an excellent way of traveling the relatively short distance while absorbing the beautiful pacific coastline. 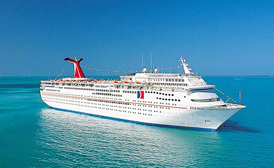 Numerous large cruise lines maintain ships that docked in Ensenada Mexico for weekly visits to the city. Other cruise lines to Mexico’s Pacific Coast also use Ensenada Mexico for shorter stays, making Ensenada an almost obligatory sightseeing destination for Pacific Cruises. For petrol heads and speed junkies, the world-renowned Baja 1000 off-road race is held in Ensenada Mexico every year in late November, while the equally popular Baja 500 race is held in early June. American and worldwide Off-road enthusiasts also make Ensenada popular all year-round as a starting point to explore Baja California. Ensenada Mexico is also the water sports mecca of Baja California. Its proximity to the ocean have made all water based activities such as fishing, diving, beaches and surfing an integral part of the structure of tourism and its relation to tourism dollars that enter the city. Ensenada and coastal beach towns of Greater Ensenada have several renowned surfing spots, such as San Miguel Beach, California Trailer Park, Stacks and the infamous 3 M’s, which are all located on the north coast of the city where surf is best enjoyed. The Island of Todos Santos is a small island located west of Ensenada which can be reached in about 2 hours by boat. It has become a world-famous surfing spot popular with the current stars of surf and equally popular for big name sponsored events. Recognized for their natural beauty and consistency, surfing spots of the region have lead surfing contests with serious sponsorship budgets and immense cash prizes such as the Billabong XXL held at Todos Santos Island. Gigantic wave faces can reach above 60 feet (18 meters) on the island. 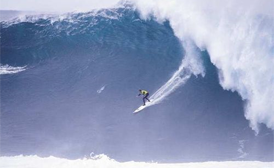 In 2006 Brad Gerlach, winner of Big XXL, surfed a wave measured at 68 feet (20 meters) in December of that year. American and Canadian tourists also stop in the city on their way to their destinations further south in the municipality where locations famous for their permanent breezes and excellent windsurfing potential are located. 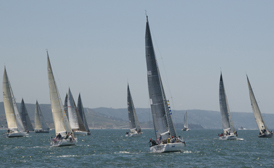 Those passionate with Maritime races also visit the city for the global Newport to Ensenada International Yacht Race, considered to be one of the world’s largest international sailing events which begins in Newport Beach and finishes in Ensenada. 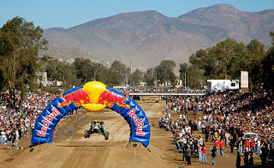 Vacations are often mixed with a visit to the Baja dune races of the Baja 1000 and Baja 500. 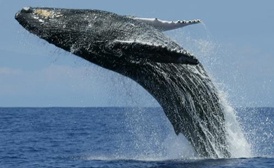 Ensenada is one of the world’s capitals for Whale watching and a major tourist draw to the city due to the gray whale’s annual migration from Alaska to the lagoons of Baja California Sur and incredible displays on offer. Between the months of December and March, and back in the months of April and May, whales can be seen from the coast of Ensenada whale excursions are available to see these majestic creatures close up on personal out on the Ocean near Ensenada Mexico.